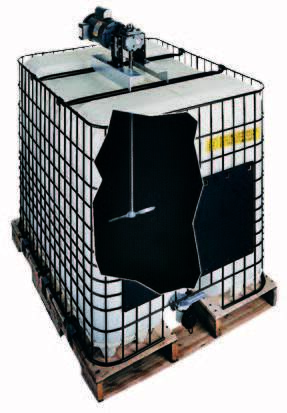 Neptune bulk container mixers allow mixing in semi-bulk shipping containers. 316SS propeller folds to fit through 2” (50.8 mm) opening; opens to 9” (228.6 mm) operating diameter. 35” (889 mm) shaft length. 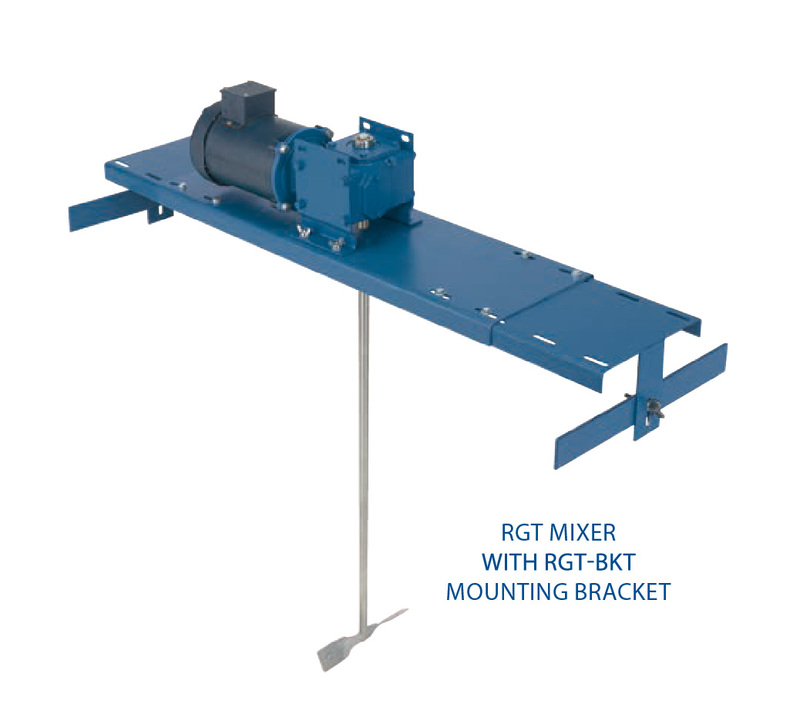 Mounts to 2” (50.8 mm) coupling or flange. 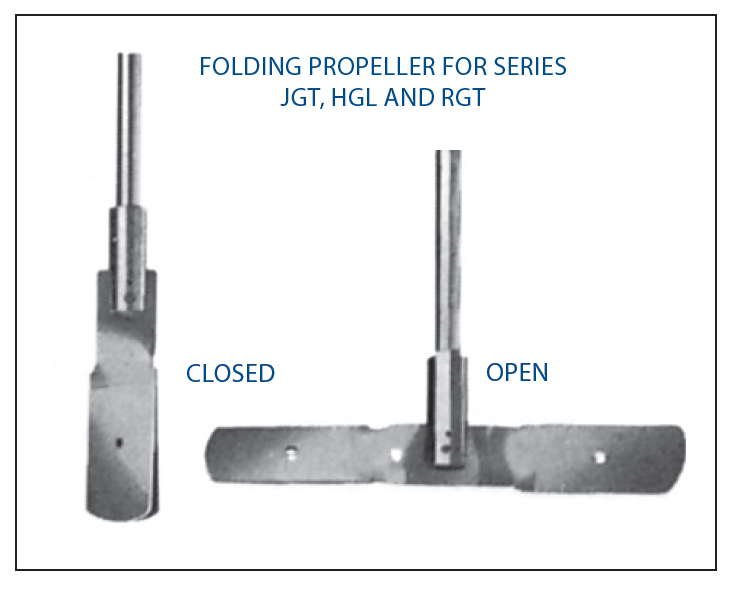 Second folding propeller bolts anywhere on 3/4” (19.05 mm) shaft – P/N 004479. 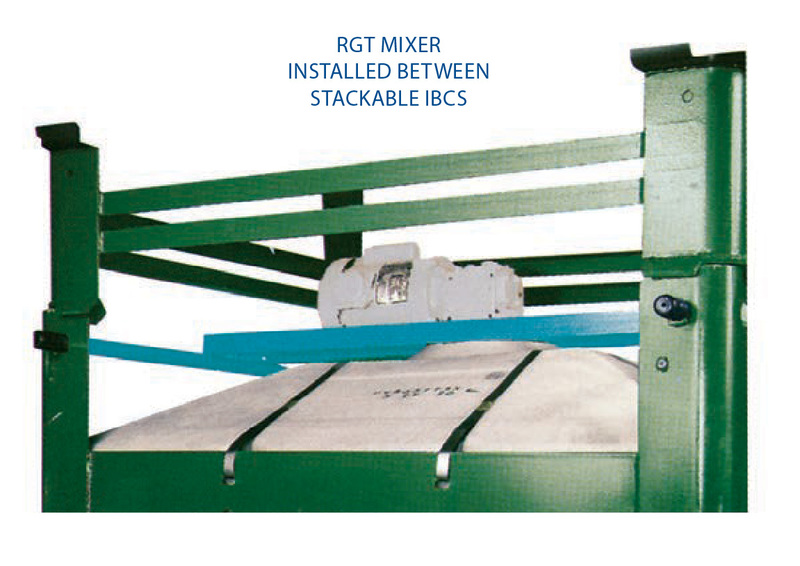 Use Series RGT mixers on single containers or sandwich between stacked.